5 days hiking through magnificent Inca sites and Andean landscapes that only a handful of Westerners have had the privilege to witness. Spend time with a family of master weavers and witness their centuries-old skills in action. Trek with a traditional llama caravan does the rest, a method of transport that has been all but lost to humanity. Camp in ultimate comfort and warmth, with quality sleeping bags and Therm-a-Rest sleeping mats in your spacious two-man tent. A genuine adventure hiking a pristine section of Qhapaq Ñan, also known as the Great Inca Trail and regarded as one of the world’s greatest engineering marvels. Traverse a remote and spectacular swath of Peru’s Northern Andes that very few tourists have ever visited. Welcome to Peru! Upon arrival at the Lima airport you will be greeted by a SA Expeditions representative before walking across the street to your Lima hotel, the Costa del Sol Wyndham. In the morning, you will just need to walk back across the street to check in for your flight to Huaraz, the gateway to the Qhapaq Ñan aka the Great Inca Trail. Upon arrival in Huaraz, you’ll be met at the airport by your guide and driver and escorted to your Huaraz hotel. After settling in, enjoy an afternoon tour of the city. Heading out early from your Huaraz hotel, you will be driven to the small town of Castillo, where you will begin the trek. You will climb three hours along the Inca Trail towards Soledad de Tambo, where you will arrive in time for lunch. This Inca “tambo” will also be your camp for the evening, allowing you to explore the Inca ruins and speak with the archaeologists on site about their exciting new discoveries. 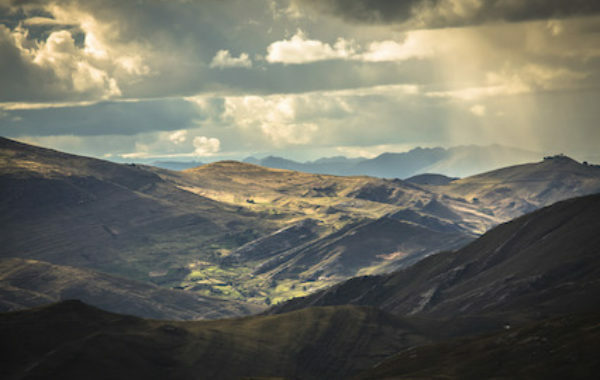 After leaving the Inca tambo, you will follow a section of the Qhapaq Ñan that reaches fifty feet in width, with stunning views of high Andean peaks. After climbing to the 15,000-foot pass at Wagapunta for most of the morning, you will arrive to camp at Quenuajirca by the afternoon. There you will visit the master weaver, Juan Araujo to learn about his work and life on The Great Inca Trail, home of his ancestors. After descending to the small town of Ayash, you will start your climb to the high Andean puna at Huamanin. The Great Inca Trail then goes along the Taparaco river basin to Tambo Grande. You will camp under immense Southern skies that illuminate the Milky Way and surrounding stars, allowing you to understand how the Incas’ Cosmic vision defined their society and religion. 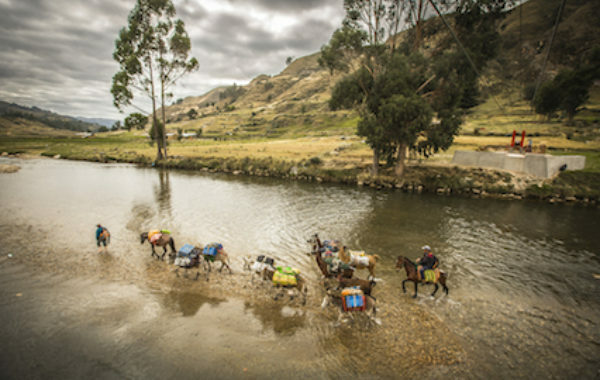 Continuing down the Great Inca Trail that runs along the Taparaco river, you will experience one of the most impressive sections of Inca road anywhere in the Empire. It’s a day where nature and Inca engineering turn your walk into a mystical experience that immerses you in an Andean world that very few people ever experience. You will arrive to San Lorenzo de Isco by early afternoon, in time for lunch and afternoon tea. After arriving at Colpa, where the Taparaco and Vizcarra rivers collide, in the late morning you will climb to Huánuco Pampa. 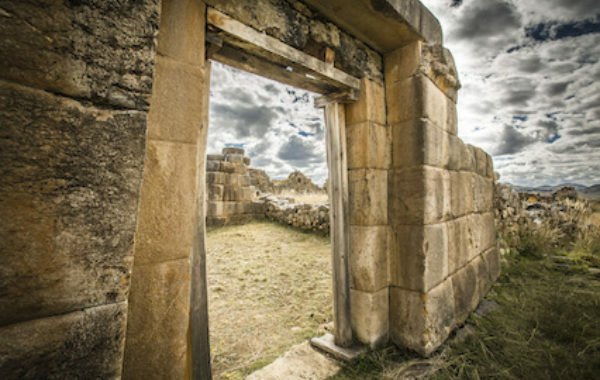 This important Inca administrative center boasts thousands of constructions built around an impressive Ushnu and is an excellent example of imperial Inca architecture. After a two-hour tour of the site, you will go by private vehicle back to Huaraz to relax before your departure the following day. You will be picked up from your hotel and driven to the Huaraz airport for your flight to Lima. Depending on your onward travel plans, you can opt to take a private tour of Lima's key sites. You will visit the Larco Archaeological Museum, the San Francisco Monastery and its catacombs, Lima's historic colonial squares, and the picturesque waterfront district of Miraflores. From Lima you can catch your international flight home, or fly to Cusco to visit the Sacred Valley and Machu Picchu. Our trip to Peru was perfect. I consider myself an excellent planner, but I could not have done this family trip without the help of SA Expeditions. This is our third trip with SA Expeditions. They are highly organised and the trips are flawless! The trip was wonderful. The adventure team worked so hard to make every tour fun and unique. The food was great and service was top grade. Three nights in our preferred hotels, specially selected for comfort, convenience and quality. 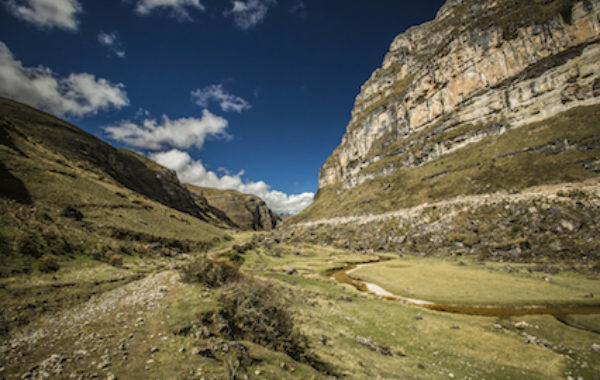 Four nights on privately guided Great Inca Trail Trek, including: tents and all camping gear, Upgraded Therm-a-Rest sleeping mats & sleeping bags, and private portable bathroom to supplement camp-site restrooms. On the trek, a fully-qualified, bi-lingual expedition leader. 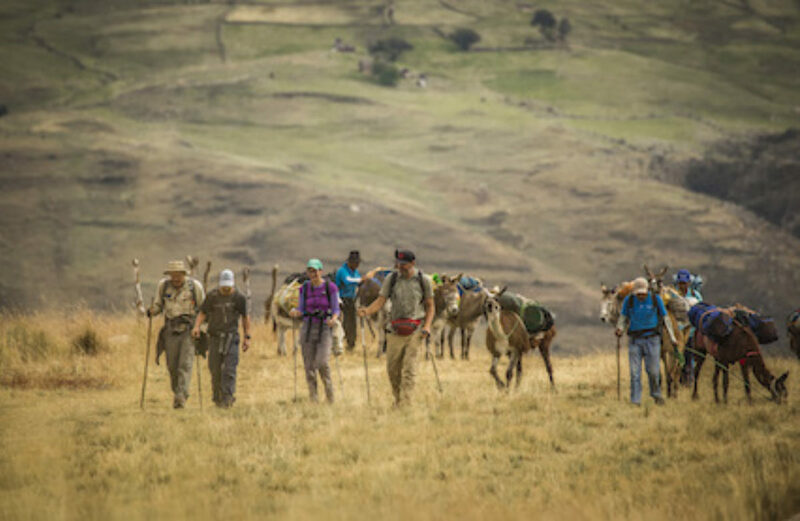 Full porter assistance to set-up camp and prepare all meals, plus llama caravan to transport your personal belongings and equipment. On the trek: four cooked, wholesome meals every day, plus snacks and drinking water. All breakfasts in hotels. All transfers with private car and English-speaking assistance. International and domestic airfare can be arranged on request.